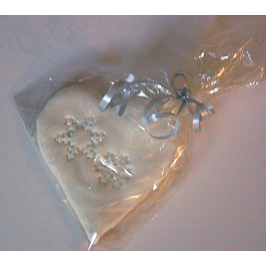 Snowflake heart cookie favours. A soft fresh baked butter cookie made from our own recipie. 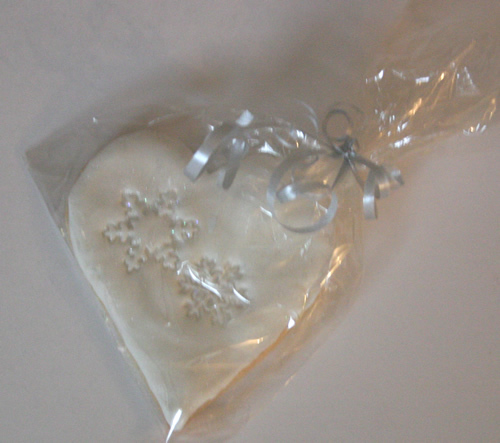 These snowflake heart butter cookies are ideal as wedding favours. Each cookie is individually made and decorated by hand and just melts in the mouth when you eat them. 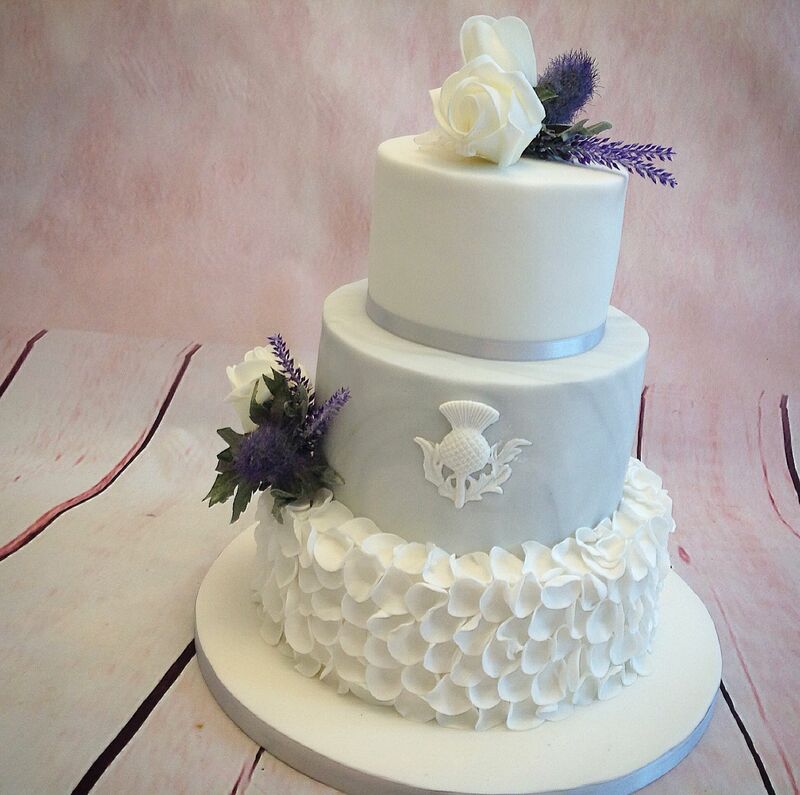 Most popular with a winter theme wedding, each cookie is made with lemon or other flavour. 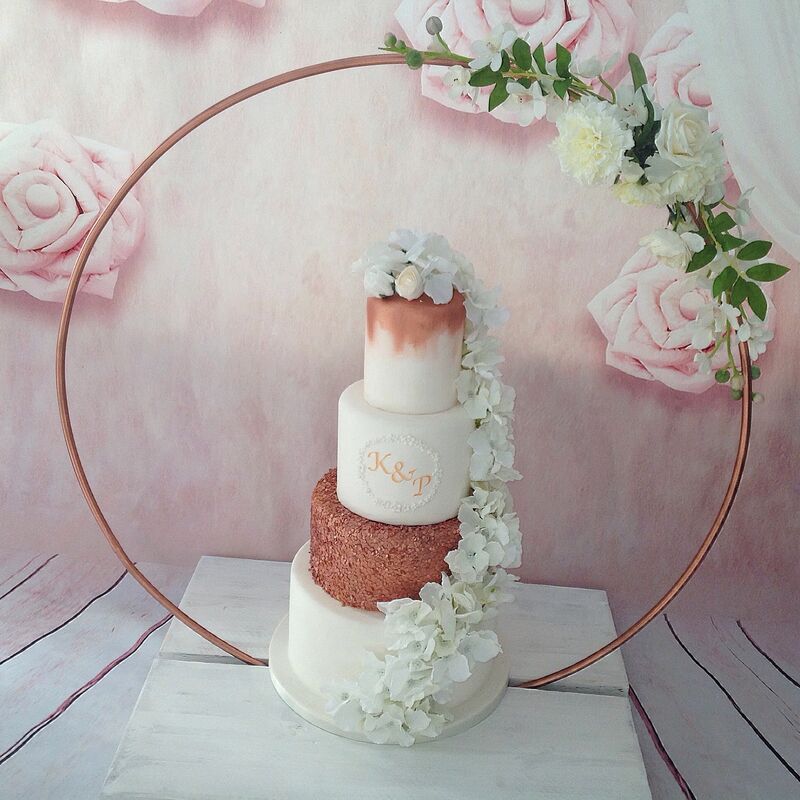 We will always try to produce the flavour you require, using only fresh ingredients. 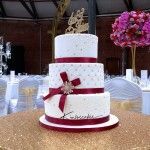 An all butter cookie with a heart shape layer of fondant decorated with a snowflake impression and finished with edible glitter. 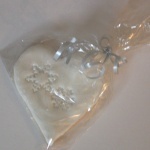 These favours are pre-bagged and tied with a colour ribbon to suit the rest of your wedding day theme. The information below must be the card holders name and address.